Imbolc is just a few days away, and it is one of my favourite days on the Wheel of the Year. This year is comes aided by a new moon and I don’t know about you, but I can already feel the rising sap, up in my bones, as I look for the first snow drops to appear, heralding a change. Above I’ve chosen a selection of pieces that remind me of this energy– clockwise from the upper left– The Snowdrop Fairy Flower Earrings, The Mother Troll Amethyst Necklace, The Griffin Milk Earrings, The Gerd– a delicate sterling silver strand with faceted chrysoprase, the silver scent locket (what would you put inside to herald spring?) and lastly the Cosmic Hug pendant of Rose Quartz. Tomorrow I’ll be putting together my altar, and cleaning and oiling all my tools in honour of the heathen Charming of the Plough. I’ll give thanks to Brigid, who in the form of Brigantia, was the goddess of the tribal ancestors of this area– she was also the goddess of the forge, brewing and poetry; she has guided my hand in all these things and I am eternally grateful. What do you do to celebrate Imbolc and herald the first glimmerings of spring? 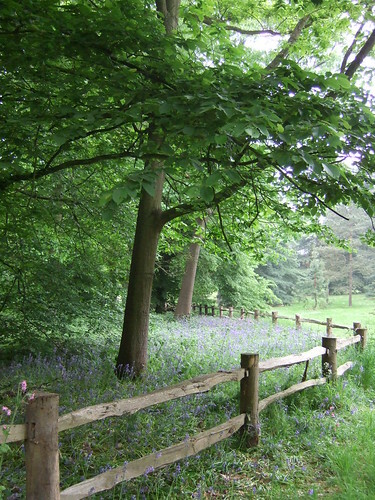 Spring is sidling up to us in the North of England, and the earth waits for it, eagerly. Bulbs in the garden, the same ones who took last year off, making me think the pots were just full of my gardening mishaps, have decided to make a go of it again, putting up their thick green fingers. I’ve taken this as a good sign. I’m waiting for the bees to show so I can really celebrate. My most recent design was inspired by the old English folk custom called “Telling the Bees”. 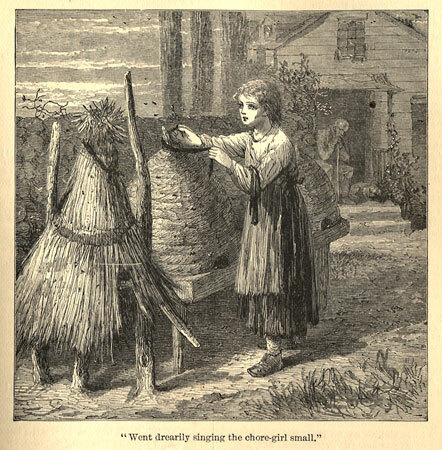 When there was a birth, death or wedding in the family, the bees in the resident hive would need to be invited to the funeral. Sometimes an offering of wedding cake or funeral biscuits would be made. The name of the dead would be sung to them, as in John Greenleaf Whittier’s sentimental yet moving poem, Telling the Bees. To neglect doing this might result in the bees swarming and the hive would be lost. This is now happening on Earth on a catastrophic scale. Bees are in terrible trouble due to pesticide use and habitat destruction, but that is a topic for another post. In other folklore bees are messengers between this reality and the next– the keepers of cosmic secrets. They flit between worlds, through doors we can’t cross, these harbingers of Spring. I love bumble bees so much but at the moment the winter here in Finland seems endless. There are days when the winter really gets my spirit down and then I think of the brave bumble bee Mothers, under ground and all that snow, hanging in there and waiting for the Spring. Me and my man have this celebration of our own: the Bumble Bee Feast! It happens the day when one of us (or both) sees the very first bumble bee of the Spring. If not possible (sometimes work and stuff gets in the way of important things in life), then the next possible day. The celebration is simple: we put honey and sugar outside in yellow bowls so the hungry, brave Mothers can come and eat and get stronger. After that we just eat and drink something good, toast for the Bumble Bee Mothers who made it and just like that broke the backbone of the mighty Winter! Winter can try and struggle and yes, there will be cold, bad days, but his time is over, the bumble bee brings on the Spring!! We get tipsy and so happy: we made it through another horrible winter and nothing can stop the Spring now!! May we all see the bee mothers soon, soon! The intricacies of illuminated manuscript borders have long been an influence on the work I make– before I made jewellery I was a painter, and my eye was trained looking at the wonderful examples of these magical texts at the Getty museum in California. There was something incongruous about these very old texts in this modern, less-than-intimate museum. Maybe that added to their power. Now I live in a medieval city, a place that often looks like something from these texts. I recognise the pastoral space, the tiny rooms, the changing seasons. 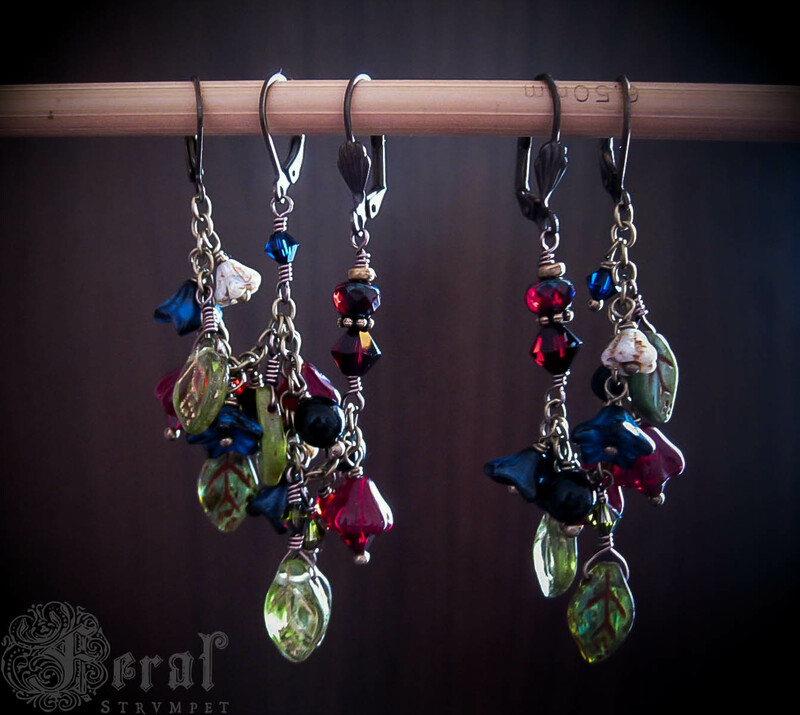 Below are ear chains designed for a special client– they hang from 5 piercings in the ears, like garlands. 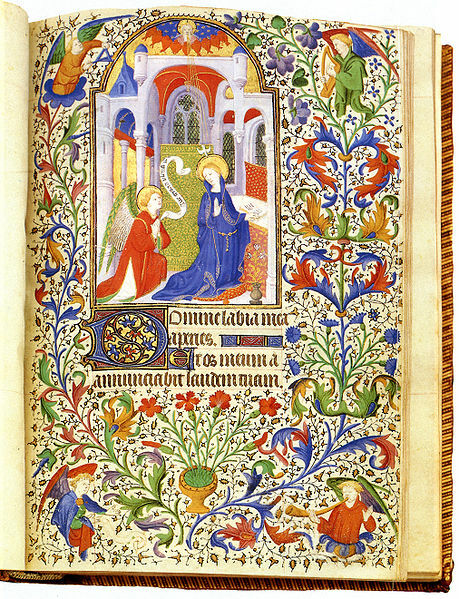 They were inspired by the floral borders of books of hours like the one pictured above. 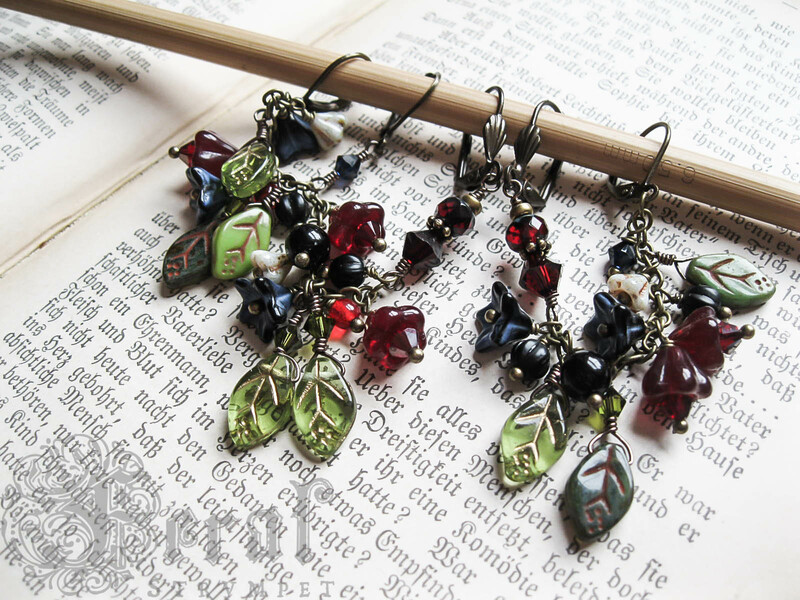 Ear Chains, a custom order inspired by illuminated manuscripts. I compiled this Flower Moon treasury on Etsy in honor of tomorrow’s esbat. Right now the cottage garden is alive with an ever-changing array of blooms, like a kaleidoscope of days the spring is passing into summer. What are you doing this full moon to celebrate?